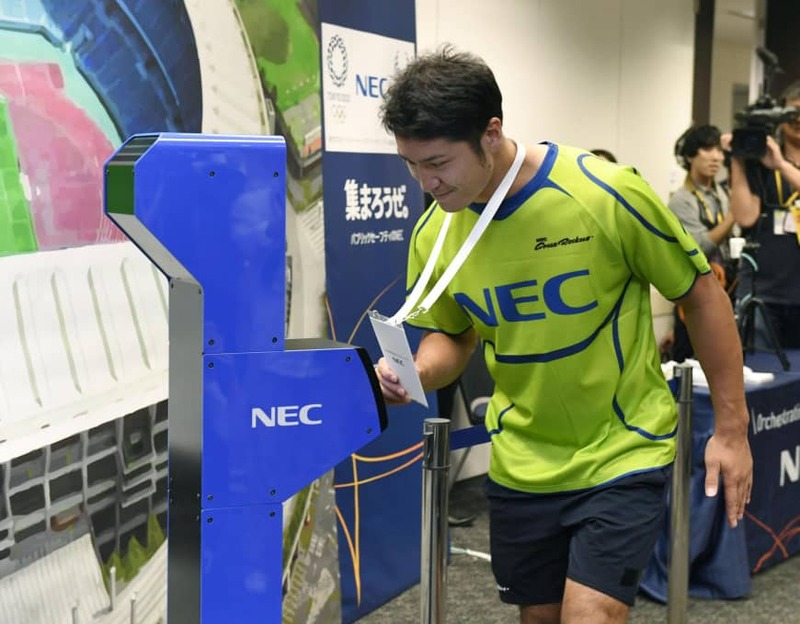 A facial recognition system developed by NEC Corp. has been adopted for checking the entry of reporters at Tokyo Stadium and International Stadium Yokohama during the Rugby World Cup that Japan will host next year. Using identification cards for media organizations and face images of reporters registered beforehand, the system will complete authentication instantly, the Tokyo-based company said Monday. The system will allow smoother entry than with visual checks, NEC said. Reporters from all over the world are expected to visit Tokyo Stadium in Chofu, western Tokyo, the venue for the opening game, and International Stadium Yokohama, where the final will take place. This will be the first use of a face recognition system at a Rugby World Cup. Visual ID checks will be used at other match venues, officials said. 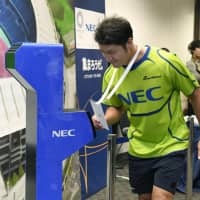 2019 Rugby World Cup, facial recognition, NEC Corp.